Welcome to AKKA Karate, it is our Honor to serve you. Here, you’ll find information about our organization, our instructors, our weekly class schedule, and any important events coming up! Our Kenpo system was founded in 1972 by the late Grand Master Bill Packer, a 10th degree Black Belt in Kenpo Your Head instructor and Owner of the Houghton road school is Mrs. Thibault, a 5th degree Black Belt in Kenpo. She has studied the system for over 26 years , 14 of the those years under of our systems founder, Grand Master Bill Packer. She has fought and won competitively as a member of Mr. Packer's AKKA kickboxing team. We, as team, uphold the traditional values, self-defense goals and organizational congruency that Mr. Packer's ideals are based on. We are honored to be able to pass on these tools to our students and we look forward to the opportunity to share the learning of self-defense, personal growth and self integrity that we strive to provide. Many of our students who have tried other forms of exercise, like running or lifting weights, say that nothing makes them feel as good as Martial Arts. The exercise and mental training combined gives them a feeling of accomplishment in their training like no other sport. No wonder Martial Arts has endured for over 2000 years! 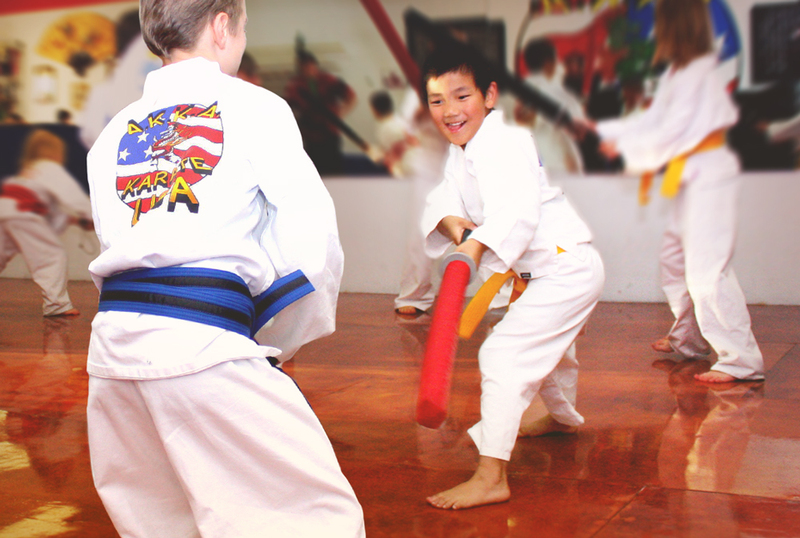 Martial Arts are a great way to give kids a head start on life! Because a structure of respect and discipline is built into Martial Arts, children begin to develop the ability to listen, learn and achieve within a highly regulated environment. We are a goal-oriented program with a clear staircase of development. Despair ye not, fair citizens! There may be another AKKA academy near you! Visit out Contact page or click below for more locations. Get Started at AKKA Karate Today!